A nitrocellulose lacquer finish on guitars looks good and feels good. The refraction of the light is different for every type of lacquer and makes the difference in how to accentuate the grain and curly flames of maple under different viewing angles. Cellulose can be polished to a deep mirror glosses and last but not least, it ages very nicely over the years. 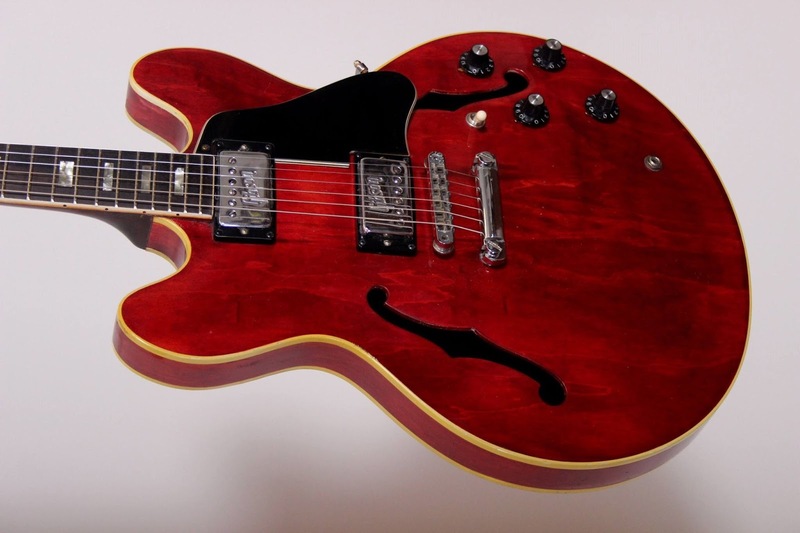 About 40 years ago new finish products like polyester or polyurethane have replaced the cellulose lacquer on guitars. 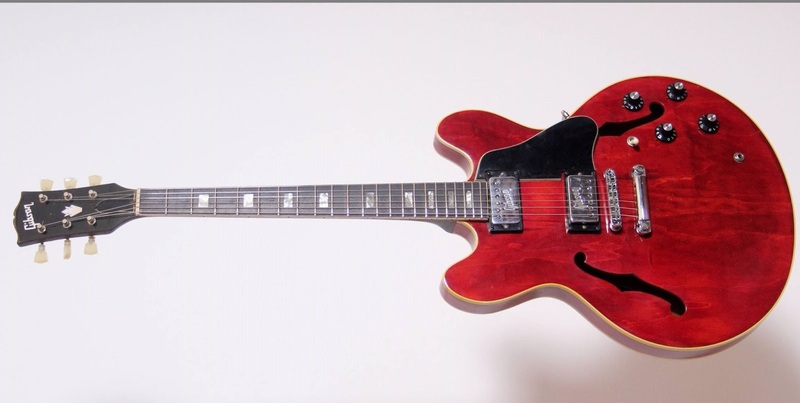 A few brands like Gibson changed to nitrocellulose lacquer again on their high end historic collection models. The addition of plasticizers in modern cellulose lacquers prevents the finish from cracking, but often makes it feel rubbery and sticky. The mixture of cellulose lacquer is like cooking. The right mix makes it feel and look great. A little mismatch makes it feel sticky or let it crack with the slightest temperature change. It is like making celluloid bindings, the wrong mix give you a Gretsch 60's binding which rots away on a whole era of guitars. 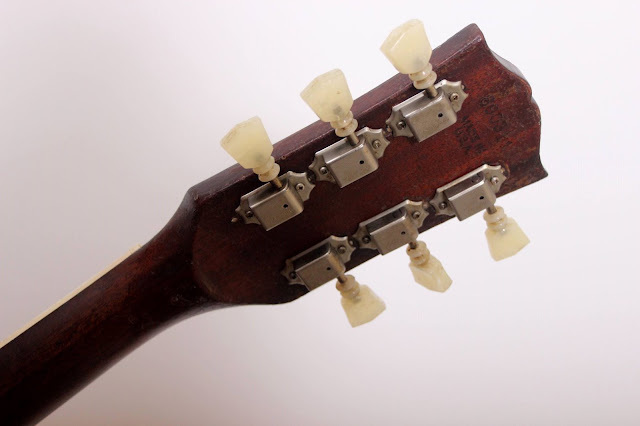 The so called sticky necks is a typical problem for the modern cellulose finish guitars. The picture shows a 1972 Gibson ES335, no cellulose finish was used during that time, the finish of the (non sticky) neck is almost completely gone.